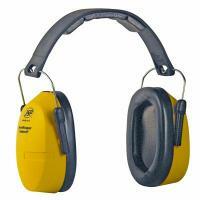 Along with the advanced hearing protection features of the Soundstopper Ear defender, it also comes with the added advantage of being a foldable ear muff. Plastic and wire headband folds easily and neatly with a positive snap- action for dust-free storage in a pocket or bag. Excellent all round protection, including industrial and agricultural machinery, construction equipment clay pigeon shooting.